Trips in Tech – Software, hardware, science and a sprinkling of robotics. Here are a few projects. NOAA19, 16 Oct 2017, time 16:30, orbit No 44,753. Camera into a mine Adit. 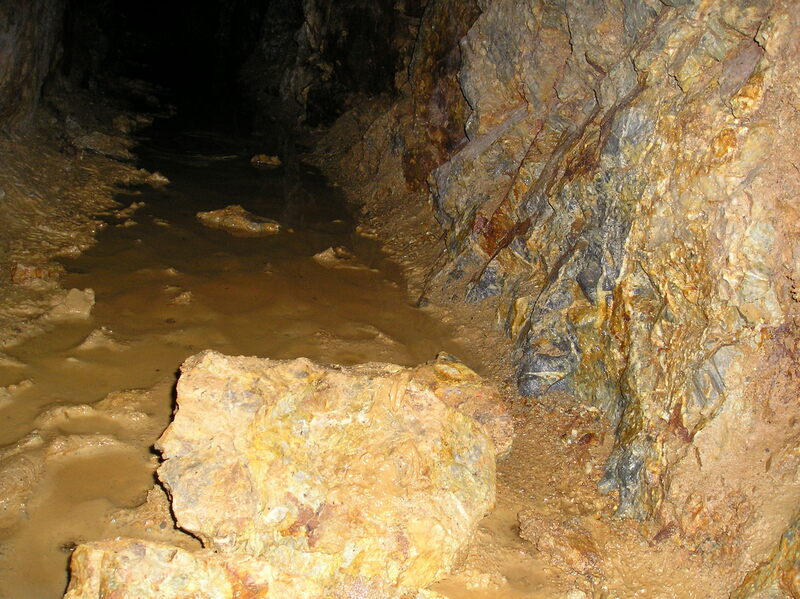 You may be wondering just why this short article is to be found within the TripsInTech web page, images shown were the result of a trip to an old mine and there was an amount of tech, in the control of the camera system, hence it may possibly be justified! 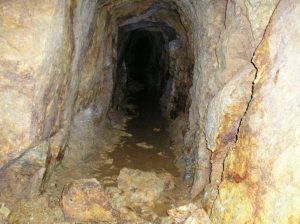 There are many old mines scattered across the Welsh hills, many are blocked to entry of persons ( quite sensibly so ) or collapsed but some have limited access. 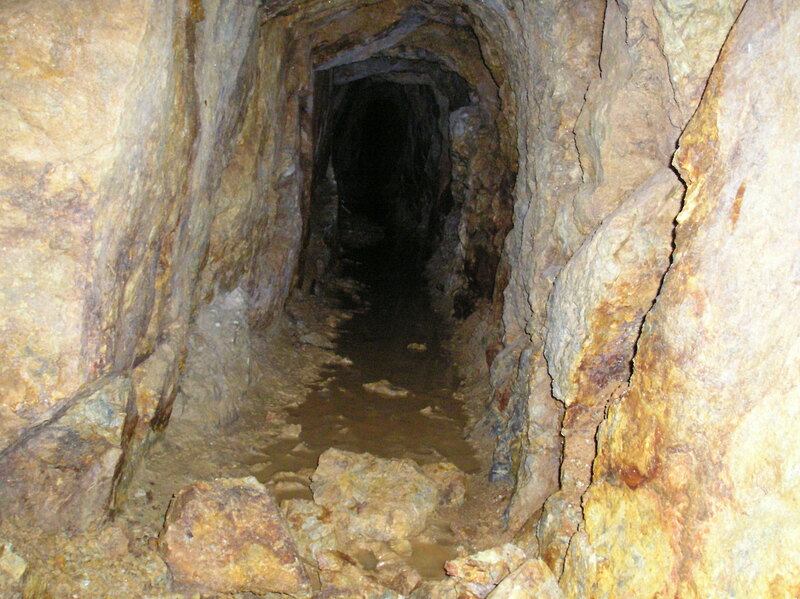 Unless with fully qualified cavers, do not ever enter a mine. Permission of the landowner / agent was obtained before accessing the land. One such mine, Nant Y Mwyn lead mine, at approximately 300 mtrs altitude in the Carmarthenshire hills, has a number of closed off entrances. 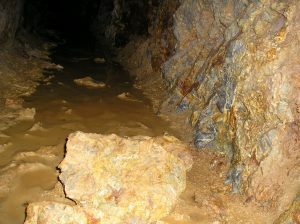 However, there is one adit ( entrance ) which although blocked by many tons of rock does have a small gap in the rock filling, which was judged to be just big enough to allow entry of a suitable camera. The small entry is way too small and probably unsafe for a person to enter and therefore after a little creativity, a modified digital camera was mounted on a Pan and Tilt ( P.T.) motor drive assembly which in turn was mounted at the business end of an eight meter telescopic pole. The pole when collapsed into itself became a manageable 1.5 m set of aluminium tubes to make walking up to the entrance easier. During the making of the P.T. assembly it was a realised there was a risk of total loss of the camera and P.T. mechanism when it is placed into the adit. Therefore, instead of utilizing a more up to date camera type as may be seen on adventurer’s helmets and many similar situations, it was decided that a fully working but no longer used Olympus digital camera was to be used, along with a small and relatively cheap high-brightness infrared domestic property surveillance video camera. To make the P.T. 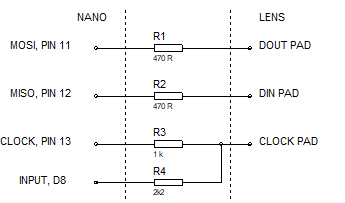 a number of standard ” R.C. ” servo’s were used, the type often found in model making, one being modified to give 360 degree rotation. The servos were mounted so as to rotate the camera head in 360 degs horizontally and to move through about 170 degs vertically, with a ” directly ahead ” view being about half way in the vertical movement. Servo control pulses were generated from a PIC18F8723 processor, being part of a Microchip development board, a few pages of C code being written for the purpose. 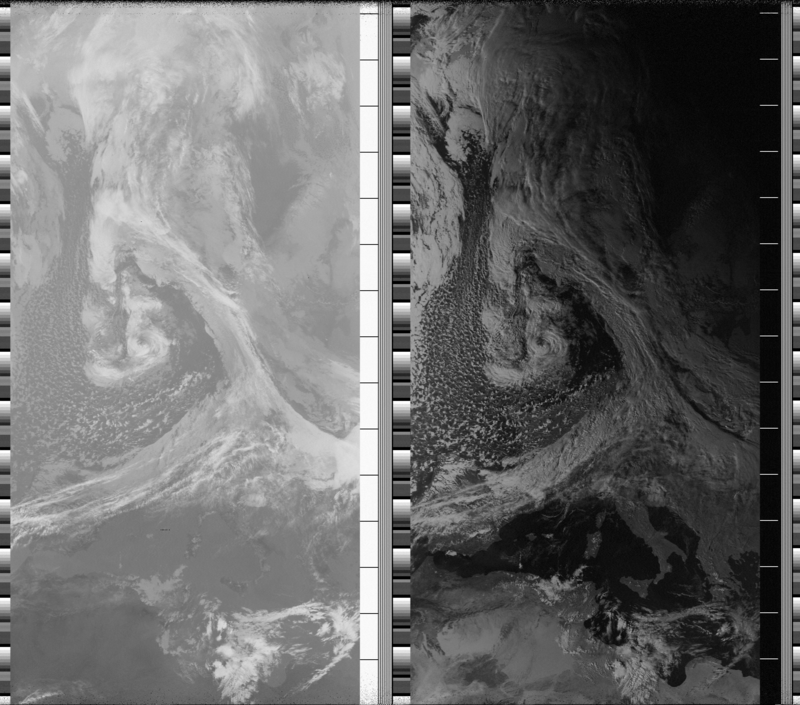 User control and interface was by a laptop running a terminal programme and a video application to view the scene as imaged by the infrared video camera. Between the laptop and the camera P.T. head was a simple serial port cable for control signals and a video cable. 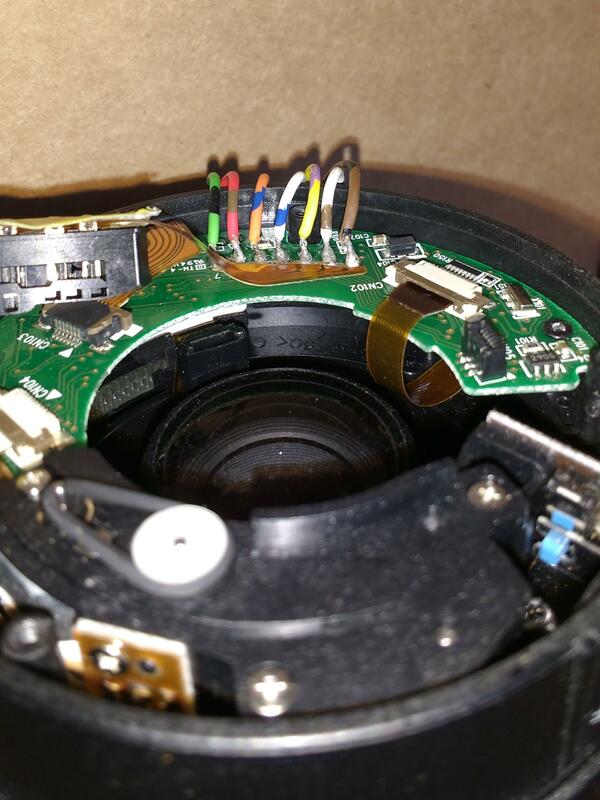 Control of the digital still camera was by means of a directly wired interface from the PIC board directly to the camera controls, essentially in parallel with the manual press button controls. Yes, of course, the Olympus digital still-camera could have been controlled via USB with a suitable application but that route was not followed. Images copyright J.W.C. G8GKU. General view into adit, mid height camera position. Rocks on floor are part of backfill blocking the entrance. General view, with high camera position, detailing ” roof ” near entrance. Note a lack of visible shot-holes, was this adit hand cut ? Close image of right hand side wall and partial rock fill. 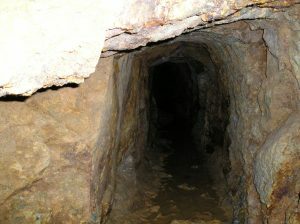 Remember to keep well clear of mine tunnels and unless with fully qualified explorers do not ever enter a mine. Posted on 11th August 2017 11th August 2017 Author JohnCategories ElectronicsLeave a comment on Camera into a mine Adit. Here are 2 python scripts which convert XML to JSON and JSON to XML. Create the sample XML file, with the below contents. Run the below python script and and it will output the converted XML as a file named output.json. Create the sample JSON file, with the below contents. Run the below python script and and it will output the converted JSON as a file named output.xml. If you launch Minecraft and get an error as above, along the lines of cannot copy file error code 5 then you can potentially fix this by renaming a file as below.